Blue Plasma Review: Is it a scam? One goal most all women have is to achieve the look of young, supple, flawless skin. It also seems to be one of the most difficult. There are tons of products on the skin care market. Some work great and others, not so much. Many are outrageously expensive; however, that is not always an indication of the level of effectiveness. Perricone MD is a high dollar skin care manufacturer and their Blue Plasma formula is a skin peel that is non-acidic. They say it delivers amazing results. The company claims that it is non-irritating and lifts microscopic debris from the face with micro-extraction leaving only smooth skin. A second feature of the formula is called bio-specific peel and it is said to targets only dead skin cells. Another is hydro-fusion which they say replenishes moisture, smooths fine lines, and renews the skin’s elasticity. An enzyme extracted from salmon roe is said to exfoliate the skin similar to the effects of alpha hydroxy acid, but on a microcellular level. 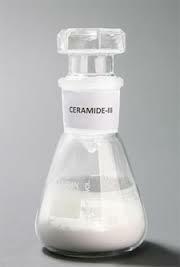 This enzyme is also said to produce anti-aging actions and has been implemented in treatment for photo damage to skin. Copper has many important responsibilities throughout the body. Used upon skin it boosts collagen production thereby improving skin elasticity. It aids in reducing the appearance of scars and evens skin tone. Copper offers both antibacterial and antifungal properties as well. Carnitine is an amino acid which firms the skin and boosts fat oxidation. It reduces the secretion of sebum and its hygroscopic actions draw moisture from the air to the skin. Blue Plasma contains no parabens, sulfates, or phthalates. It is said to contain micro-technology and enriched water for hydration. Both free samples and free shipping are offered on the official website. Perricone MD provides a money back guarantee. It does not contain any form of sun screen. Some users experienced red blotchiness with its use. Refunds must be requested in 30 days and only for products purchased from the company website. A number of skin care websites offer Plasma Blue and it is just under $100 for 59ml/2 ounces. It is best to order from perriconemd.com because that is the only way displeased customers can receive a refund and this must be requested within 30 days of the purchase. This sounds amazing, if the claims are true. As there are no studies to review that is difficult to determine. The price is extremely high and consumers only have a 30 window to request a refund. They must also make their purchase from the official webpage or Perricone MD will not honor the guarantee.